An ‘ancient’ pyramid appears overnight. Every clock in the world begins counting down to the Earth’s destruction. Three opposing armies lie ready to annihilate each other. It’s a terrifying race against time to save the world! - This is the second episode of a three part trilogy that began with Extremis last week and will end next week with The Lie Of The Land. - IMDb: The Doctor's sonic sunglasses show that Bill is a 26 year old female who weighs 130.2 pounds, is 167.6 cm tall, has a heart rate of 79 bpm and a body temperature of 37.6 degrees C.
- The Doctor previously assumed the role of President of the World in Death in Heaven and during the Zygon uprising. - We've seen the country of Turmezistan before. During The Zygon Invasion, the rebel Zygons from the splinter group Truth or Consequences had a training camp hidden in a town in Turmezistan. - Missy and the Vault do not appear in this episode. - The Telegraph notes that a single line of dialogue was cut from this episode, out of respect for the victims of this week's act of terrorism in Manchester. "During the discussion of potential threats to Earth, Bill suggested terrorism – but the BBC decided that as a matter of sensitivity, this single line of dialogue should be removed." The Doctor: "The end of your life has already begun. There is a last place you will ever go, a last door you will ever walk through, a last sight you will ever see. And every step you ever take is moving you closer. The end of the world is a billion, billion tiny moments..."
The Doctor: ...and somewhere unnoticed in silence or darkness it has already begun. The Doctor: "Thank you for playing the big pyramid game. See you next week!" The Doctor, to Erica: "Seriously, what are you doing when this is all over?" The Doctor: "Fear is temporary. Love is slavery." The Doctor: "What do you depend on?" Nardole: "Air. Water. Food. Beer." Bill: "I tell you what, old man, you better get my planet back." Monk: "Enjoy your sight, Doctor. Now see our world." Having not been very keen on last week's episode (because of what I thought were plot points that didn't make much sense) I was somewhat happier with this one which did rather more with the underlying idea. (In fact, I suspect now that the problem with last week was that the writers felt it necessary to have the reveal that the Monks have been running incredibly detailed simulations of Earth be the culmination of a mystery in its own right). I know the BBC has slightly more budget than it did in the Classic Who days, but the direction was trying hard to avoid making it too obvious that three massive armies were being shown by three senior officers and a variety of 4x4s. Also, can someone please go back and re-dub every use of the world 'Colonel' with 'General'; Brabbit is not only clearly in charge of a sizeable US force, he is also wearing 4-star insignia. I like the idea of the end of the world coming about through a combination of two otherwise insignificant incidents (Erica's glasses getting broken and Douglas being hung over.) And Rachel Denning as Erica is great - the Doctor always works better as a character when he's dealing with someone intelligent and resourceful rather than someone who he just has to explain the latest bit of technobabble to. "Do you know about the Pope in the simulation?" she asked her, knowingly. That was good but all the army stuff was treading water really. Did everyone get the preview of next week? Promising with some threat of Budgie Doctor. I found this a solid middle act, and gave "blind doctor" a nice pay-off, being the trigger for Bill to surrender to the Monks. I hope next week's episode wraps the story up in a quality way; I'm looking forward to more Missy. The Doctor's advocacy of bombing the pyramid seemed really out of character to me. Is this season turning into the Doctor as King Lear, as he faces his blindness and thinks about mortality? King Who? Sorry if this is the wrong place to ask, but...What is the double-secret method of watching episodes on the BBC America website? I keep missing the broadcast (and BBCA never repeats a showing) but for the life of me I cannot figure a way of watching the episodes on their website. I see "Log in to watch episodes" but there's no place to either log in or create an account. I have all my ad-blocking disabled and Flash enabled, but still get nothing. I'm using Firefox, if that makes a difference. This is exactly why parts of this episode felt very like The Stand to me (and I proper love The Stand). The sequence of the failures was very nicely done. The Doctor's advocacy of bombing the pyramid seemed really out of character to me. Partly I think it was on par with the "you should kill us all on sight" of the Silence, and partly because the Doctor strongly suspected that it wouldn't do a thing. Also, Rachel Denning is a fab actress who did a great job in Call the Midwife recently as well, and Tony Gardner was in My Parents are Aliens, which was a properly good kids show (as well as Lead Balloon and The Thick of It, which are both very good but not nearly as fun). I see "Log in to watch episodes"
Here, on that page there's a 'sign in' button at the top right hand corner, click that, then below a vertical list that says "BBC america, facebook, twitter" it says "New to BBC America? Sign up now." Click sign up now. Jason Snell posited on the TeeVee Podcast that perhaps by having the three sides organized and fighting together you prevent them from fighting each other and causing World War 3. But it could just be a more aggressive take on The Doctor, especially when the alien presence is clearly hostile. I've really liked the last two episodes. The first five followed the monster of the week structure pretty closely. Those can still be good, especially since in Doctor Who they are more often misunderstood mysteries than plain bad guys. But I do like the interconnected stories and more out there science fiction premises. Even if the endings don't always pay off I like the more creative setups. I interpreted that as the Doctor knew attacking the pyramid and failing was the only way to convince the three armies that their weapons were useless against the Monks. Trivia: Jamie Hill, who plays the lead Monk, also played the Foretold in "Mummy on the Orient Express" and the Silence in series 6. He is also a manager at the Doctor Who Experience in Cardiff. Babylon 5 also re-used a lot of creature actors. Apparently, once you figured out how to attach a mask to a particular actor's face, the hard part (of making a plaster impression of the actor's actual human face) was over. After that first step, it was a lot easier to keep using the same actor and just change the outside of the mask to new species'. What the hell good is blowing up just that one room of the lab once the bacteria has already gotten out of it? Aside from the samples Douglas took out to examine, the contamination sticking to the doctor and Erica, whatever took out Nardole, Douglas himself is a big bacteria puddle in the un-blown-up part of the lab. What the hell good is blowing up just that one room of the lab once the bacteria has already gotten out of it? I was really hoping the actual end-of-the-earth bit would be the Doctor blowing up the lab, thinking he was all smarty-pants, and then taking his dirty infected Tardis out into the world. Thereby infecting everyone and killing the earth once and for all. Yeah, I go to that page, and there's nothing of the sort there in Firefox. Turns out it works in Safari, though. I guess BBC-A doesn't like Firefox? Yeah, this was the most unsatisfying episode for me so far this season. Maybe that's inevitable for the second part in a three-part story. It just seemed way too hand-wavey. Why was everyone so quick to assume the Monks' prediction was Truth rather than simulation? I mean, bad science is par for the course with Doctor Who, but bad storytelling shouldn't have to be. It all feels like a writer setting up plot points rather than a natural flow of story. Next week Moffat will pull out the twist ending and we'll all go "Whoa!" and then be annoyed by the parts that don't make any sense once you think about it for ten seconds. But maybe I'm being too overly grouchy. The show is supposed to be cheesy, right? I really wanted to like this episode. The core conceit - the whole idea of the Monks needing to be invited and exploiting crises from the simulations was really, really cool. But the plot of the episode itself hinged on so much plot hole-y nonsense (a lab where there are no failsafes to warm you that a value is ten times higher than normal parameters? A scientist being dumb enough to just grab a handful of obviously infected dirt and run in straight through the airlock? The total ignorance of the other rooms that have been infected, or that Erica would be a carrier? A combination lock that doesn't have recessed numbers or Braille, making it even less accessible than the average pay phone?) that I just couldn't enjoy it - and I'm someone who can usually overlook that kind of stuff. Hell, the whole ending could have been averted by just having the Doctor tell Bill "hey, so one more thing about Time Lords, if I die I'll just regenerate in to a new body with sight, really this whole explosion thing is NBD". It also begs the question, if the Monks could restore the Doctor's sight just like that, how is it that he - with all the technology of every alien race in all of time and space, including the Time Lords, at his disposal - couldn't just do it himself? Are we supposed to believe that the Monks are literally the most advanced race we've ever seen in this show? Now that I got to see this episode, I kind of wish I hadn't. It was so weak. It just felt like filler written around the single event of the Doctor getting his sight back. Also, did I miss something or did that pyramid just.. appear? To think that I complained about as small a belief-beggaring detail as the RNG in last week's episode as far as plot-blocking bad science goes. The entire subplot in the bio-lab for this one was utterly unbelievable, as though Moffat wrote that section from a poor-recollected viewing of the 1971 adaptation of The Andromeda Strain. It's like one of the Lazy Writers sketches from That Mitchell and Webb look. 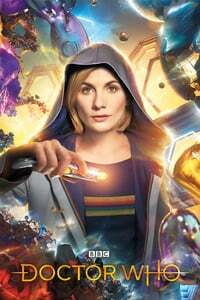 And the past two episodes have also lost the momentum of the developing relationship between the Doctor and Bill, which had been moving along pleasantly during the first four in this series. At this point, halfway through the new series, it feels like Bill's taken a detour into retreading Martha Jones's plot arc in "The Sound of Drums"/"Last of the Time Lords"—including the prominent featuring of the Master/Missy. Is it possible that the events of Pyramid at the End of the World also took place in a simulation? It would explain some of the more iffy bits of the episode, including how the pyramid appeared overnight and how the Doctor's sight could be instantly restored -- when he himself couldn't do that. Wow, for me this was definitely the first absolute clunker of the year. I absolutely don't buy Bill surrendering just to save the Doctor here. That whole sequence seemed padded for tension and super contrived. I suspect we're headed towards another jar of tang moment here, given that several pretty large-scale improbable things happened, even adjusting for normal Whovian levels of fantastic (sudden pyramid, sure, but also the remote restoration of the Doctor's sight). It's entirely likely that they're in another layer of the simulation. That feels cheap, but any other resolution would probably be dumber. Lazy writing is why the lock wasn't solved by having the Doctor using his sonic glasses to text Bill a picture of the lock and have her read back the numbers.